Congenital rubella was first recognized in 1941, when after a rubella epidemic, a large number of children born to infected mothers were noted to have cataracts. Immunization against the rubella virus in the United States, Canada, and many European countries has decreased maternal rubella and thus congenital rubella. In the United States, only a few cases of congenital rubella are reported per year. Attention is now directed at its eradication in developing countries (Banat-vala, 1998). Although maternal infection can be subclinical, it usually presents 14 to 21 days after exposure with a maculopapu-lar rash that begins on the face and spreads to the neck, trunk, arms, and legs. 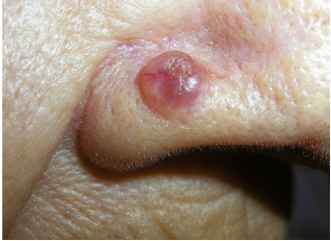 It is associated with lymphadenopa-thy, malaise, arthralgias, and petechiae. There is no therapy other than supportive. Pregnant women found not to have immunity to rubella should be instructed to avoid individuals who have viral illnesses. Suspected infection should be documented by specific rubella IgG and IgM measurement or by viral culture of the mother. Maternal rubella acquired in the first trimester of pregnancy has a high risk of conferring damage to the developing fetus, and documented cases should be counseled and pregnancy interruption offered. In congenital rubella syndrome, many abnormalities can be found, such as cataracts, chorio-retinitis, microphthalmia, congenital heart disease, myocarditis, microcephaly, deafness, mental retardation, and bone lesions, as well as signs of systemic infection (pneumonitis, hepatosplenomegaly, hepatitis, thrombocytopenia) (Stamos and Rowley, 1994).